A few weeks ago I did something I rarely do, I woke up at 3am. Now if you know me, you know that me and 3:00am are not friends! I woke up, slid out of bed, brushed my teeth and headed out the door. I arrived at my friends Frank's house around 4:00am where we jumped in his truck and drove North to Santa Rosa. Now to be honest, I tried to sleep in the back of the truck but it was a little tough. We arrived at the Russian River about 5:45am, it was still pitch dark outside. By the time we had the boat in the water the sun was barely coming up over the river and it was time to fish! I would guess we started fishing around 6:45am and it wasn't long until I had my first bite, but it wasn't a keeper (it was a baby fish). See I grew up fishing with my dad on small streams, but nothing as big as the Russian River. We didn't have a boat growing up so most of my fishing was from the bank of a lake or stream. After hours of fishing it happened; I had my first Steelhead on line! I was shocked when I had this fish on. 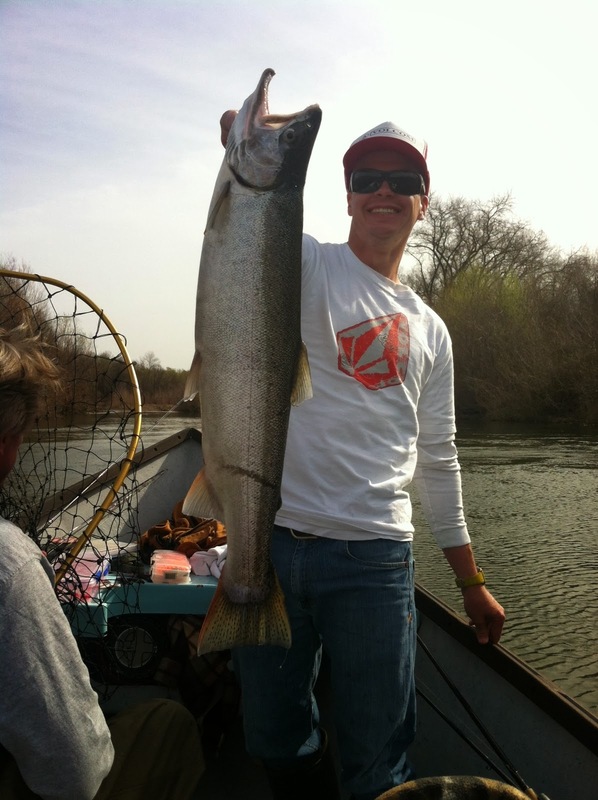 I've heard the stories of people fishing for steelhead for 2-3 years before catching their first one. I had been steelhead fishing for about 7 hours when I finally had my first one on. This fish hit hard and ran quick. I started reeling in my line and have never fought a fish like this (better fighting than tuna fishing in Mazatlan). After fighting the fish I finally saw him. He got close to the boat but darted the other direction. Every time I thought I had won the fight he took off. 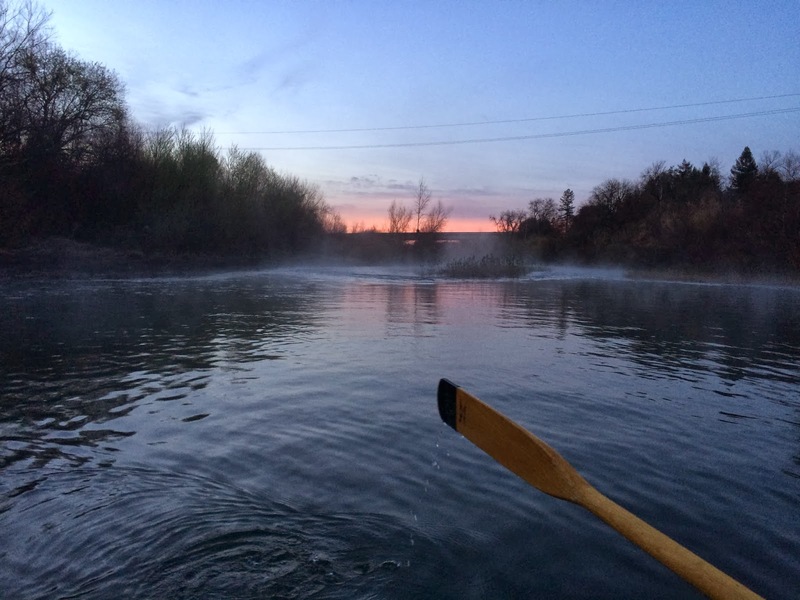 Thankfully my buddy Frank knows how to row a boat and when the fish took off upstream he rowed upstream to keep me close. We had another guy with us, Gino, who netted the fish for me. It was an amazing feeling holding this fish in my hands! After reeling him in, my hands were shaking from the adrenaline rush! Another picture showing my joy of landing this fish!